Pictured is Livi Prudent, daughter of early intervention grant program completer, Angi Martin-Prudent. Thanks to her mother’s training and bilateral cochlear implant surgery, Livi has progressed from possessing no sign or spoken language, to producing accurate syllabication and single spoken words in addition to many words in sign language in just the past seven months. Pictured is Livi Prudent, daughter of early intervention grant program completer Angi Martin-Prudent. Thanks to her mother’s training and bilateral cochlear implant surgery, Livi has progressed from possessing no sign or spoken language, to producing accurate syllabication and single spoken words in addition to many words in sign language in just the past seven months. College of Education (COE) faculty member Maribeth Lartz has been awarded a $1.1 million grant from the U.S. Department of Education for a cohort project designed to provide advanced preparation to education professionals who serve infants and toddlers with hearing loss. The work will be funded for five years, beginning January 1, 2013, and ending December 31, 2018. This project is a continuation of work that Lartz and the project’s coordinator, Tracy Meehan, began in 2006 to help address the critical shortage of professionals qualified to provide early intervention services to young children and their families. The project focuses on high-need and underserved areas across the state, including Chicago and rural areas of Central and Southern Illinois. 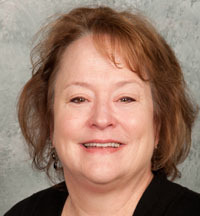 College of Education faculty member Maribeth Lartz. “Many areas of Illinois have families waiting for early intervention services because there are no providers in their area,” said Lartz. Cohorts include speech language pathologists, audiologists, and teachers of the deaf, who will complete a five-course program and supervised home-based and clinic-based practica. Classes will take place both at Illinois State University and in Chicago and will be connected through live video conferencing with instructors at both sites. Over the project’s lifetime, 44 participants will earn their Illinois early intervention credential and a graduate certificate in deaf/hard of hearing listening and spoken language professional. After program completion, mentoring will help participants stay engaged and connected in the project. This ongoing involvement will create partnerships between Illinois State and institutions across the state. In years two through four, several graduates will be selected to receive an additional year of fieldwork and professional practice. Upon completion, they will be prepared to provide mentoring to other early intervention professionals with specialized skills and knowledge in serving young children with hearing loss. Applications for this project are currently being accepted for 2013 admission.